Woad-dyeing demonstrations for academic, archaeological events and festivals. Hand weaving visiting workshops. 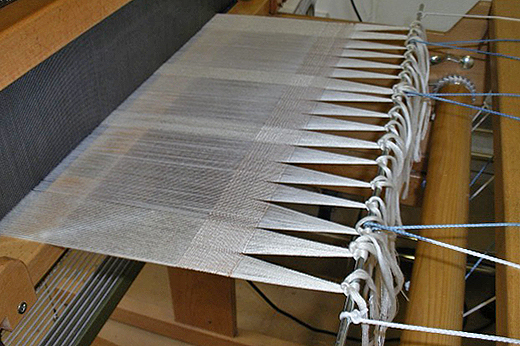 Using 8 shaft and 4 shaft looms and ancient weaving frames. Using yarns hand dyed with woad, madder and weld, showing the time consuming nature of hand weaving processes. Felt making for beginners and advanced practitioners – to include a variety of felting techniques, flat felt, seamless felt, wool on silk.